Tooth (Molar) under a microscope! You already have a mouthful, but this tooth is the cutest of them all. 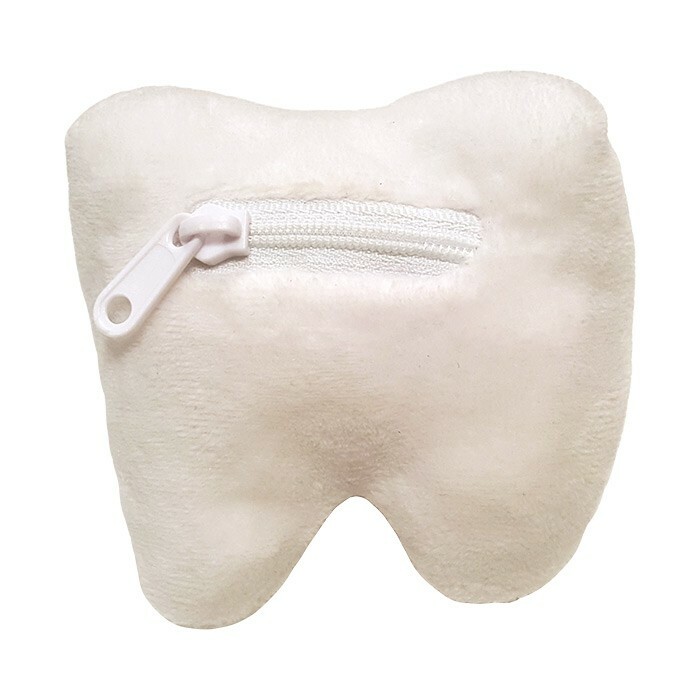 This cuddly tooth even has a zippered pocket where your child can put baby teeth for the tooth fairy’s visit. FACTS: Smile! Learning about teeth is not like pulling teeth. 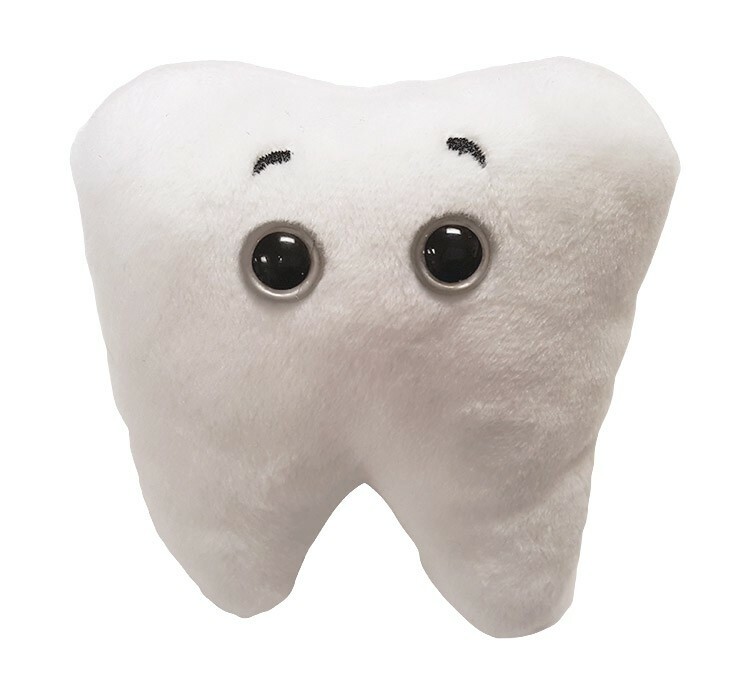 Kids have 20 and after the tooth fairy stops visiting you’ll have up to 32 teeth. Armadillos have over 100, spinner dolphins over 200 and certain snails have 25,000! But don’t be jealous, at least we have more teeth than a blue whale, which has none. Humans have four types. Incisors are sharp for cutting and chopping. Canines are pointy for piercing and tearing. Premolars are broad with twin cusps for crushing and chewing. Molars are massive and flat for grinding food. If your wisdom teeth erupt you will have 12 molars in all. Be wise, grab your toothbrush and take care of them all since once an adult tooth is lost, it is gone for good. And brushing is a lot easier than in the old days when people used twigs and iron rust. We know George Washington had tooth troubles, but his dentures weren’t wood, rather they were made of ivory, metal alloys, horse, cow and human teeth. The visible part of each tooth, the crown, is covered by enamel, the body's hardest material. Underneath is the the bone-like dentin which encloses the soft pulp chamber. Inside are the blood vessels and nerve endings. The dentin and pulp chamber reach down into the root, attached firmly into your jawbone by a living glue called cementum. Every day millions of bacteria, especially Streptococcus mutans, gather on your teeth eating sugars and forming a layer of plaque. More plaque means decay and cavities. So help your teeth stay healthy and strong. S. mutans won’t be happy, but your teeth will be smiling! Humans have four types of teeth and this one is specifically a molar. 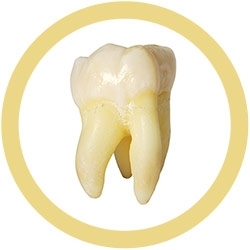 The molar got its name from the Latin phrase 'dens molaris' which means millstone tooth. This is similar to the English nickname wisdom teeth. 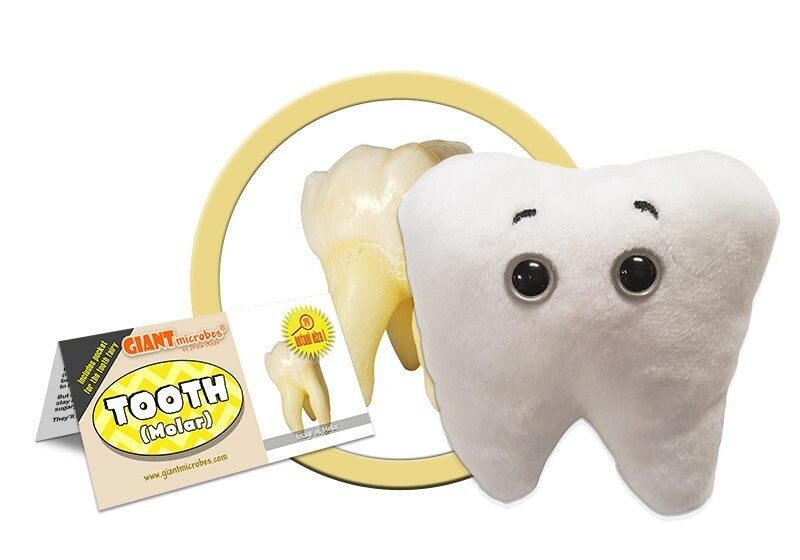 They are commonly called this because the molars appear much later than other teeth, typically after childhood. They come in at an age when people are presumably wiser. Hopefully as a young adult you are more knowledgeable, insightful and prudent. At least your teeth may be more sharp, grasping and reflective if you care for them! Molars vary in size by 2-3 millimeters depending on location and gender, but on average are 11 millimeters. Skeletal system; play a key role in the digestive system as well. Having clean teeth was not nearly as easy a few centuries ago as it is today. The first toothbrushes were made of small sticks or twigs mashed at one end to create a bristle-like surface. In 1880, the Swiss were the first to invent the electric toothbrush which prevented many cavities and toothaches. Also having a tooth removed is a piece of cake nowadays compared to times prior to the 1800s. Teeth used to be removed brutally with a well-placed chisel and the forceful swing of a mallet. Yikes! Then as the 20th century began, painkillers such as laughing gas, novocaine, and other anesthesia were used to reduce some of the screaming. Toothpaste similar to what we use today was invented in the 1800s. Before then, ingredients included powdered fruit, burnt or ground shells, dried flowers, and even mice, rabbit heads, lizard livers and urine!